Lisa will be at Aurora and Kai's wedding and forced to spend the evening with Jeff Waters, a man whose very presence makes her feel about the same age as Noel, her three-year-old adopted nephew. Not only can't she talk with the man around, she can't think straight when his gorgeous grey eyes search hers as if he's trying to figure her out. Jeff is intrigued with the long-legged, curly-haired beauty who tries so hard to ignore him. When they end up spending the night together, he knows he's met the one and only. Now all he has to do is get her to acknowledge the fact that she really does like him even when she's sober. 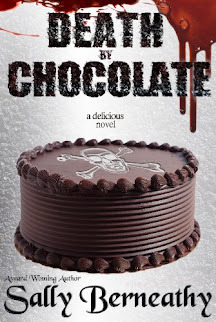 Love is in the air, but first the team must make it through a bank robbery before they can hear wedding bells. 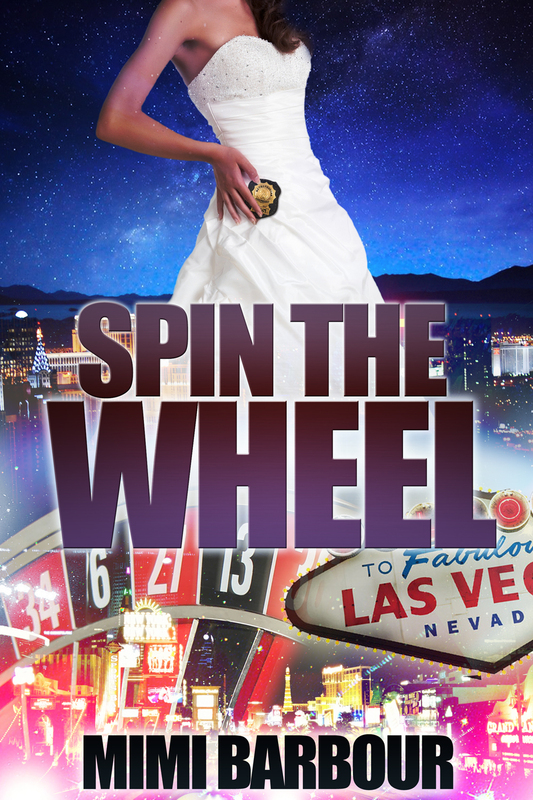 Spin the Wheel is another fun romantic suspense in the Vegas Series from Mimi Barbour. I really enjoyed this one. It was filled with girly fun, yet has a suspenseful plot line. 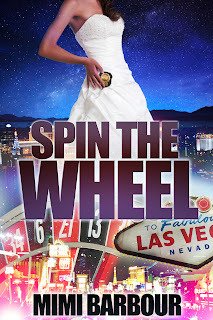 If you're looking for an excellent romantic suspense series, read the Vegas Series. Super review Amy! Yes, this series rocks!